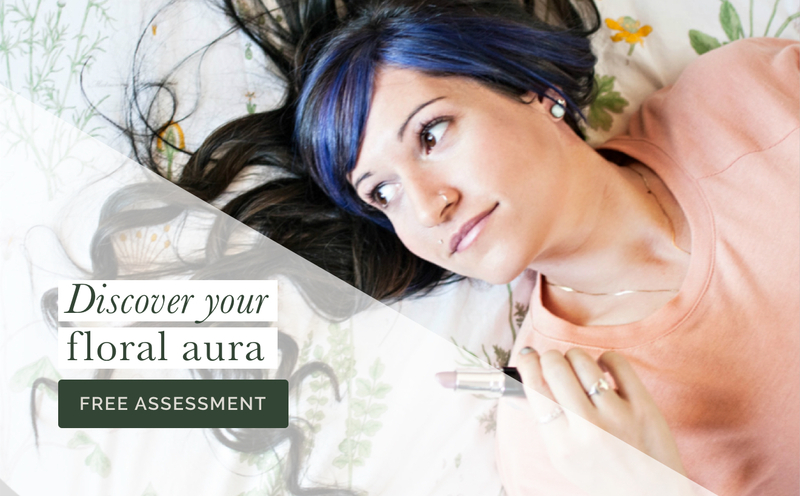 When we start our holistic and intuitive skincare journey, it can be hard to know what to watch for. Sure BIG signs like stinging or our skin being beat red after using a product are easy to pick up on, but some signs are a bit more subtle. While we don’t need to pick apart every little thing our skin says or does, knowing some common overarching signs can help inform or skincare choices. Here’s a list of common signs, signals, and symptoms our skin might send us that all point to ONE clear message. Take note of some of the common reasons for these signs as well. As you get to know your skin better, you’ll also start to understand how to best navigate this common message. Are you picturing a hero holding up a big shield protecting anyone behind it? Just like Arthur did to stop a ﬁre breathing beast from burning him and his knights? No? Ok, maybe it’s just me, and my nerdy side is showing haha. Even if you’re not picturing a shield stopping a ﬁre breathing dragon from burning the shield holder to a crisp, I’m sure you can start to get a picture of what the barrier function of our skin does. While it might not stop ﬁre breathing dragons, it guards our skin against water loss, dehydration, and irritants that seek to enter the skin. What causes damage to our barrier function (aka our shield)? The elements: Cold, heat, dry air (low humidity), wind, cumulative sun exposure, etc. Skin that is left unprotected against the harsher aspects of our environment will take a hit to its barrier function either by depleting the barrier or by aﬀecting the rate at which our barrier renews. Health conditions and medications: Sebum is what we often refer to as our skin’s oils – it’s an oily, waxy substance that our body naturally produces to protect our skin. 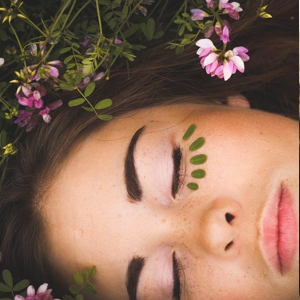 It’s made up of lipids and what forms our skin’s “shield.” How much sebum our skin produces can be aﬀected by hormones (which, as you may know, are aﬀected by a wide range of factors – genetics, sleep, stress, diet, etc.) as well as speciﬁc conditions and medications. Health complications related to the pituitary and adrenal glands, as well as the ovaries and the testicles, can either increase or decrease the level of sebum that’s produced. A lower level can result in a weak shield. Medications that are known to lower the amount of sebum we produce can include oral contraceptives, antiandrogens, and vitamin A derivatives. Products: Using the wrong products for your skin or misusing products will contribute to a weakened barrier. For example, over-cleansing, using a cleaner that isn’t right for your skin (strips or irritates the skin), and over exfoliating. You’ll notice the trend here is that we need to tread lightly with how we’re cleansing and exfoliating our skin – too much of either depletes our shield. 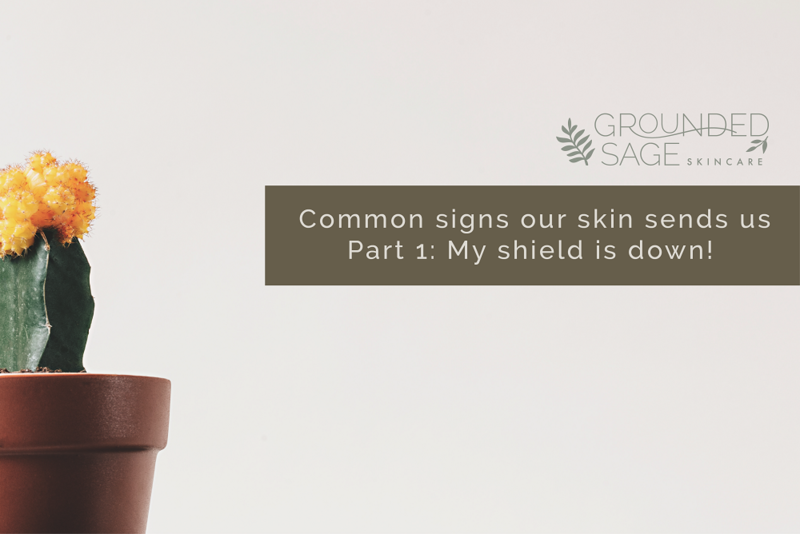 So how do you know if your skin is telling you it needs some support to get its shield in order? You might be surprised to see that it’s not just “dry” or “irritated” skin that shows signs of a weak barrier. Rosacea or redness – Those who have rosacea or rosacea-prone skin often have barrier function impairment. 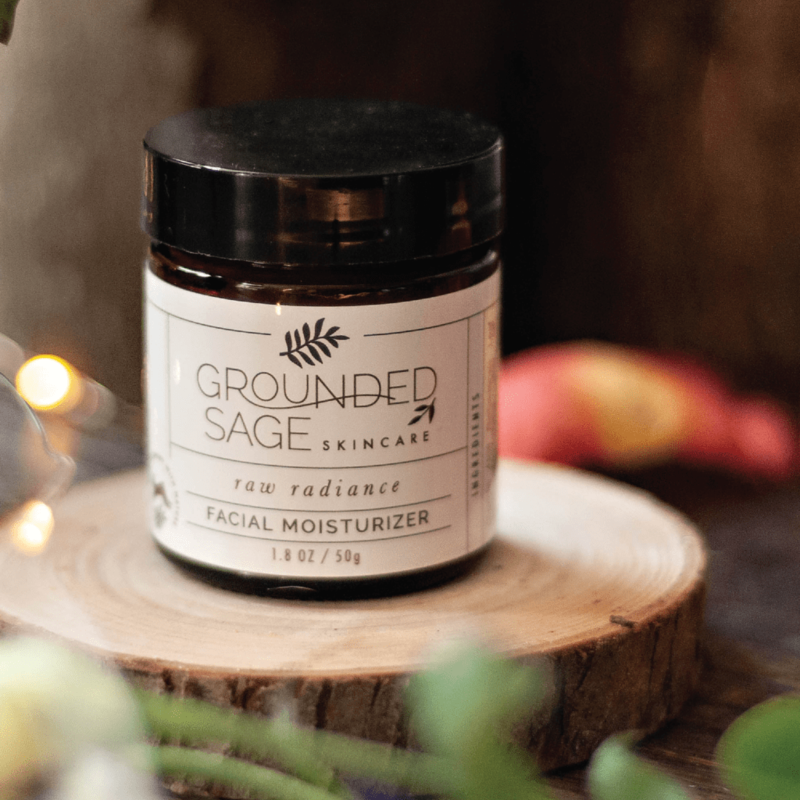 If you ﬁnd yourself with rosacea or a rosacea-prone skin type, it’s safe to say that supporting your barrier is where you should focus your skin journey eﬀorts. Same goes for redness. An impaired barrier can lead to redness due to the skin being open irritants that penetrate the skin. Tight or “squeaky clean feeling” after washing – If washing your face leaves your skin feeling like there’s no natural oil barrier left, or you can’t smoothly glide your ﬁngers across your skin after washing, there’s a good chance that you just depleted your barrier. Stripping our skin of all natural oils is essentially like tossing our shield aside leaving our skin completely exposed. Flaky skin or rough texture – This is a common sign of dehydrated skin due to a weak lipid barrier. If you manually exfoliate your skin every day because your skin has a rough texture or ﬂaky patches without this daily routine, you might be caught in a cycle of managing damage to your barrier. Even if you have oily or acne-prone skin, you might be dealing with the symptom of a weak barrier (and therefore dehydration that is causing the ﬂakiness). Continuing to exfoliate this often is only stopping your barrier from replenishing. See the next section of this post for ways of providing serious support to your lipid barrier, rather than staying stuck a cycle of depletion and maintenance. Itchiness and stinging – Just like the redness we talked about above, stinging and irritation can happen when our skin is left open to irritants easily penetrating it. Another example is what many people experience in the winter: itchy skin. This “winter itch” happens when a weak barrier aﬀects nerve endings and cause an itchy feeling. What can we do to support our shield so it can ﬁght of ﬁre breathing dragons… ur, I mean causes of damage? The answer is a two-fold approach of prevention and support. Prevention: This one, on the surface, is pretty straightforward – avoid things that deplete your barrier. But of course, there are lots of nuances to that. For example, some things can’t be avoided entirely, so we need to learn how to navigate them in a way that works for our skin. An excellent place to start is by making sure your cleanser isn’t added to the problem (if you’re not sure, check out our cleanser quiz, check out the blog posts linked at the bottom of this article, or jump into our Facebook group for support). 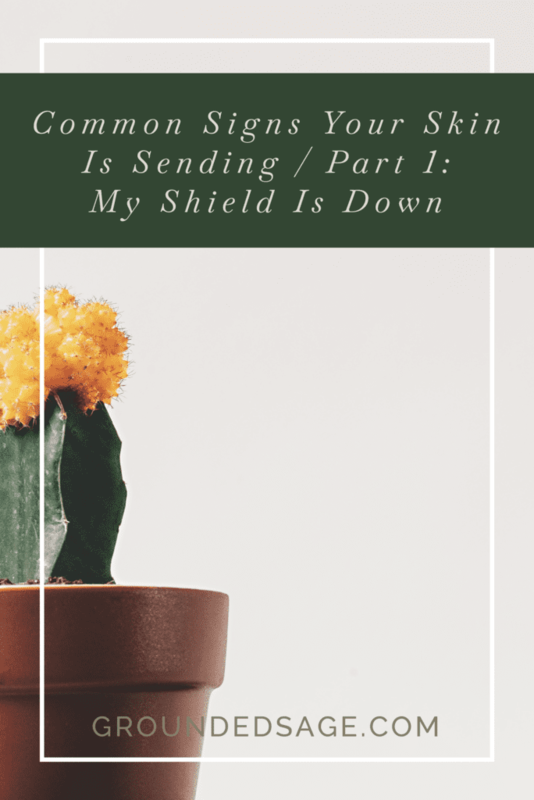 Support: Using products that help rebuild our shield by supplement our skin with the missing lipids it needs for a fully intact barrier is the way to go. You see, our barrier is made up of lipids and there are lots of comparable lipids that Mother Nature supplies us with. Incorporating these lipids into our skincare routine can improve and replenish our lipid barrier function. So what type of ingredients can we ﬁnd these lipids in? 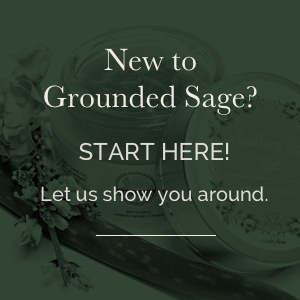 Plant-based oils like jojoba, sunﬂower, saﬄower, hemp, olive, grapeseed, rosehip, etc. and plant-based butters like shea and cocoa. 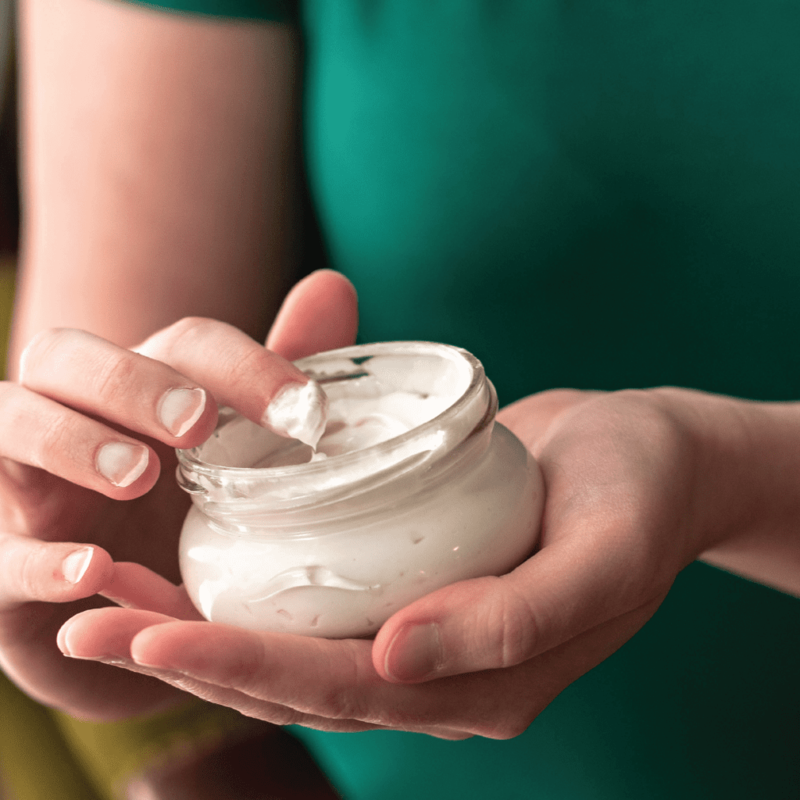 Look for plant-based oils and butters in moisturizers and plant-oil blends (sometimes called serums) to get the most barrier repairing properties.If you want to take things a step further (or have done what you can as far as preventing and support but are still seeing the signs of barrier damage), dive into hydrating products (humectant-rich products) in combination with your moisturizer. Hydrating products are applied before your moisturizer to seal them in. For example, applying Calendula Gel Hydrator before Raw Radiance Moisturizer. I hope that this helps you to identify the common signs and reasons your lipid barrier may be having a hard time doing its job. Our bodies are such resilient and powerful healers. We want to do everything we can to support this process and our skin is no exception. If you want to learn more about your lipid barrier, below are some extra links for you to peruse through.